Being quite active, I wanted a programme that would give me a sufficient amount of exercise and would push me beyond my boundaries. I didn’t want to limit my food intake too much as I knew I would need to eat a regulated and controlled diet in order to maintain my energy to participate in the activities. I needed to re-educate myself around portion control to reduce the risk of overeating upon returning to my everyday life. 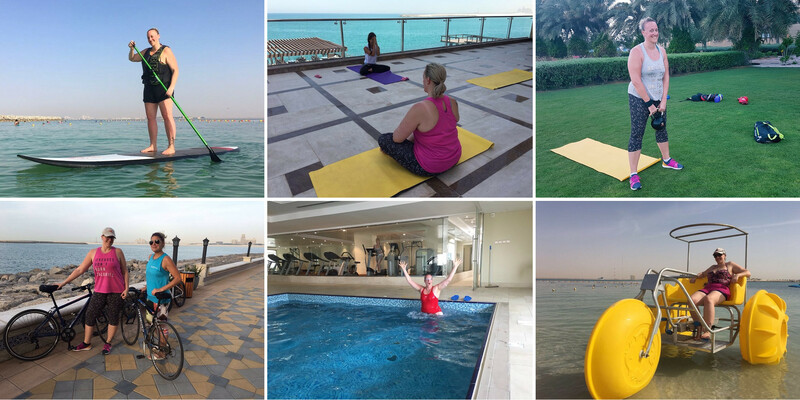 I felt immediately welcome upon arriving at the Marjan Island retreat and after settling in I was given an introduction as to what my week would consist of and how the programme would work. During the retreat I enjoyed a vast range of activities that worked every aspect of my body. When doing some of the activities, such as paddle boarding, it didn’t actually feel like much of a workout, it was just really enjoyable, but the next day I could tell that I had been working my core while trying to keep my balance on the paddle board. It just goes to show you don’t have to be sweating in the gym to be working out! 10lbs in weight, 3 inches from the waist and 3.5 inches from the hips.